The country's oldest farmers' market, in the heart of Amish country occupies a beautiful 120 year old red brick building chock-full of local character. 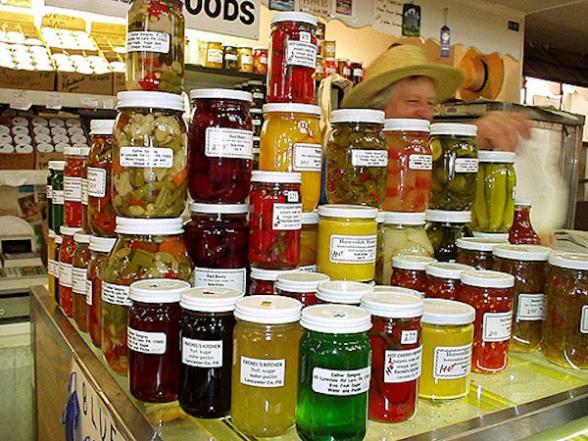 Regional food specialties include Pennsylvania Dutch sausage, scrapple (a breakfast meat of pork scraps and cornmeal), and headcheese (like scrapple, an acquired taste). 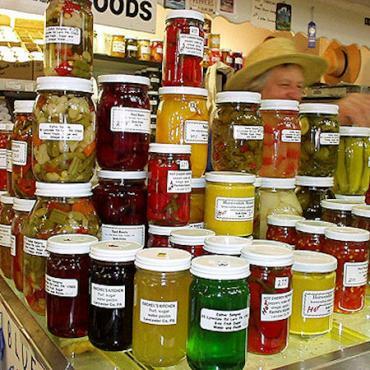 You'll also find preserves, including chowchow (pickled vegetables in a spicy mustard sauce), and bread and butter pickles. Open Tuesdays and Fridays, 6:00 am to 4:00 pm, and Saturdays, 6:00 am to 2:00 pm year-round; the market is also a great place to buy souvenirs.